Laura works with clients to secure protection for intellectual property assets. 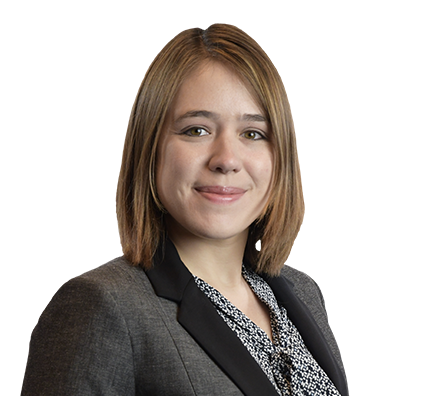 While her practice focuses primarily on patent prosecution, Laura also assists clients in securing and defending trademarks and copyrights. Laura also counsels clients and coordinates with foreign counsel on European oppositions in a variety of technological fields, including those listed above. In addition to patent prosecution, Laura has experience managing large domestic and international trademark portfolios, conducting and reviewing trademark searches to evaluate registration opportunities and issues of infringement, preparing and prosecuting trademark applications before the USPTO and representing clients in trademark opposition and cancellation proceedings. Laura also evaluates copyright matters and counsels clients in protecting copyrightable assets. Prior to her time at Husch Blackwell, Laura prepared and prosecuted patent applications on behalf of NASA, the Naval Undersea Warfare Center (NUWC), Naval Surface Warfare Center Dahlgren Division (NSWCDD) and National Institute of Standards and Technology (NIST). Laura also worked with the U.S. Army Corps of Engineers in managing their international trademark portfolio. She has counseled the Securities Exchange Commission (SEC) with respect to various trademark registrations and assisted the SEC in updating their trademark licensing policies and managing their licenses with third parties. Laura is the author of the book series An Experimental Play on Words, a three book collection including 1000+ Still Useful Words and How to Use Them, 700+ Verbal Emojis and 500+ Happenings to Prove Existence.